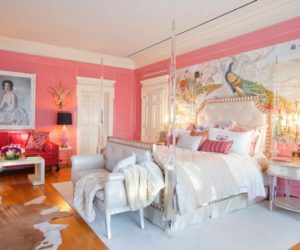 You may think that your bedroom looks pretty nice and interesting but wait till you see these designs. They’re some of the most interesting and cool bedrooms you can ever think of and they actually go well beyond anything you can imagine. 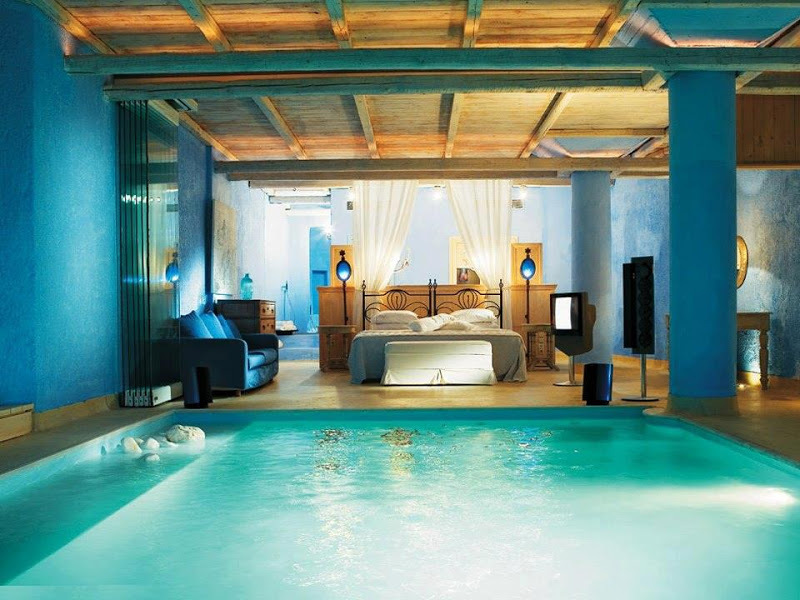 It would sure be nice to have such a bedroom but dreaming about it is not bad either. 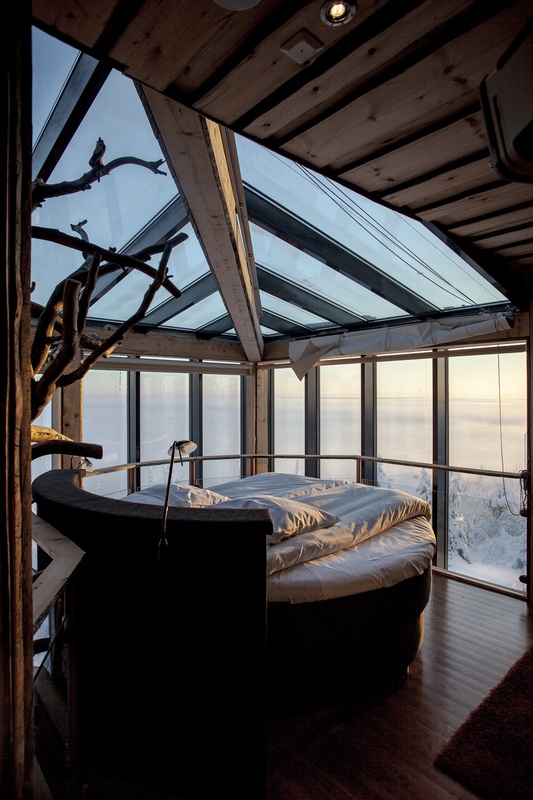 A bedroom encased in glass, sort of like a greenhouse is definitely an interesting idea, especially if the location and the views are to die for. 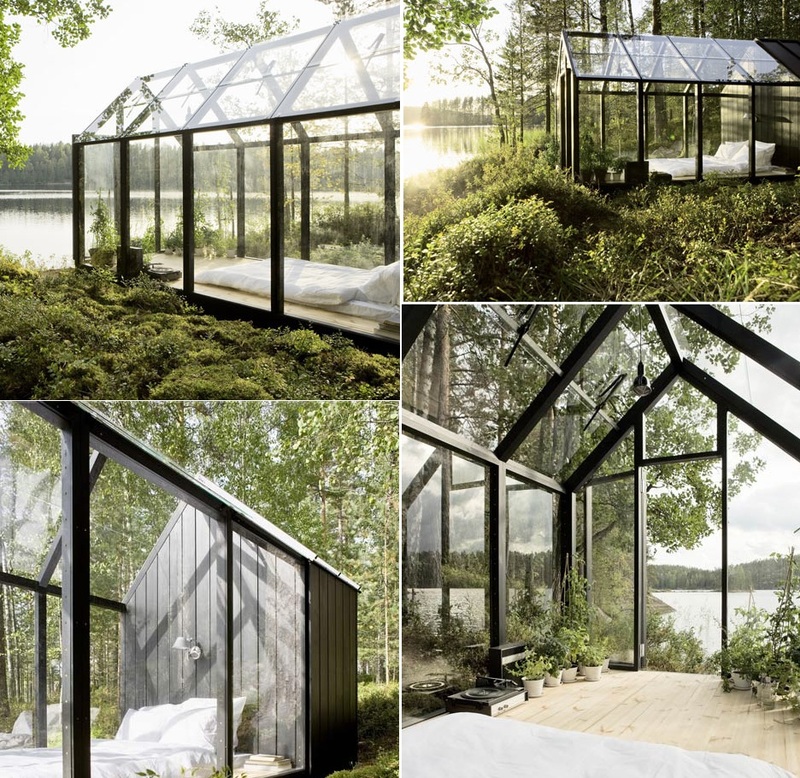 Of course, you’d feel a little exposed but not so much if you build this glass shed in your own garden. 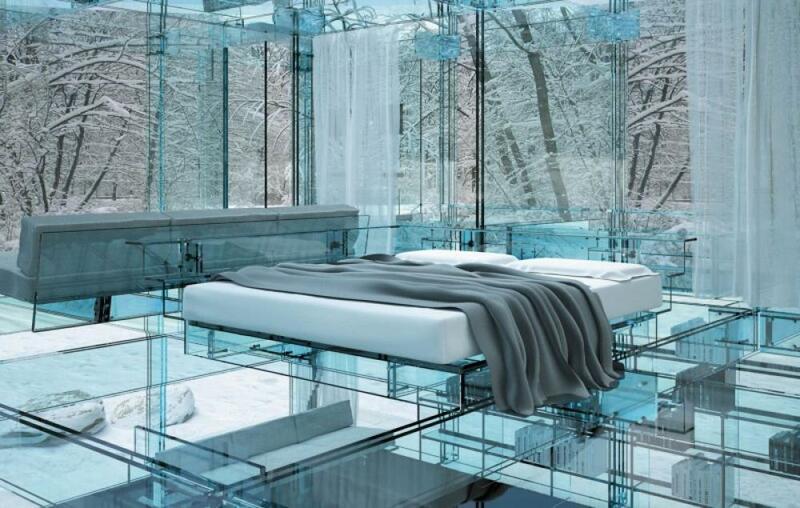 And speaking of glass-encased bedrooms, here’s another one. 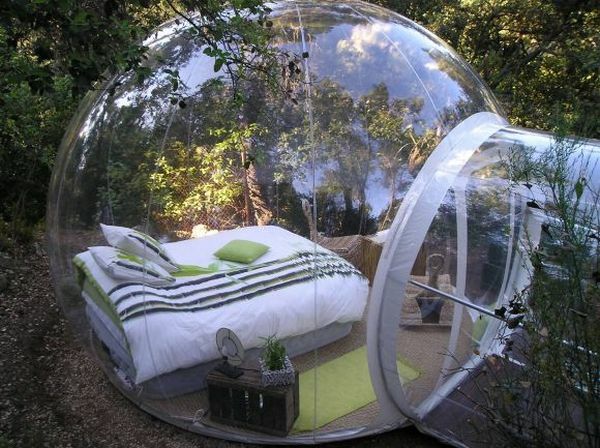 This one was designed in a transparent bubble surrounded by nature and vegetation. Now the only issue to worry about is keeping the exterior clean. 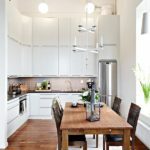 A regular bedroom, on the top floor, with a glass roof is a little closer to what most of you envision as a dream space. 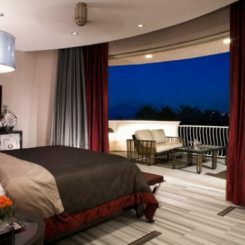 The floor-to-ceiling windows offer spectacular views, the round bed looks amazing and the suite was actually built around a growing tree. 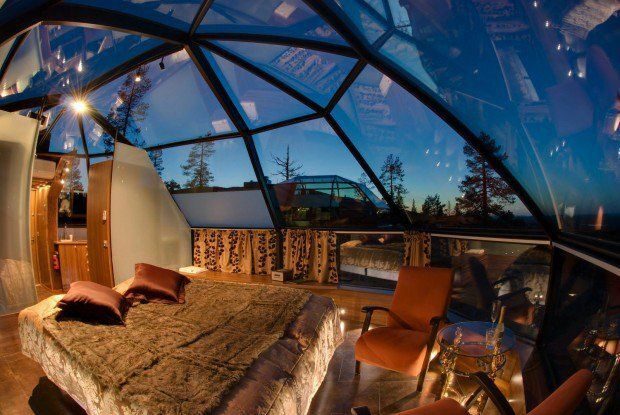 This is a suite at the Kakslauttanen Hotel in Finland and it has a dome-shaped ceiling, with a metal frame and encased in glass. What better way to fall asleep than while admiring the stars and the sky? 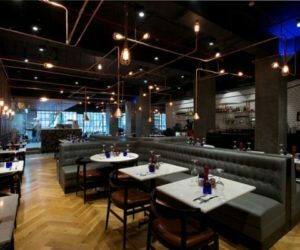 But you don’t need to visit fancy hotels to get a taste of that experience. 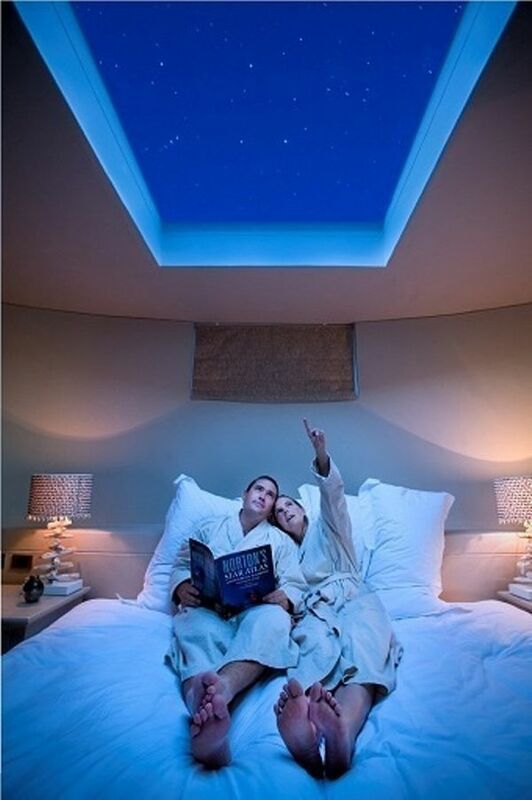 If you design your bedroom with a big skylight above the bed then you too can watch the falling stars at night. 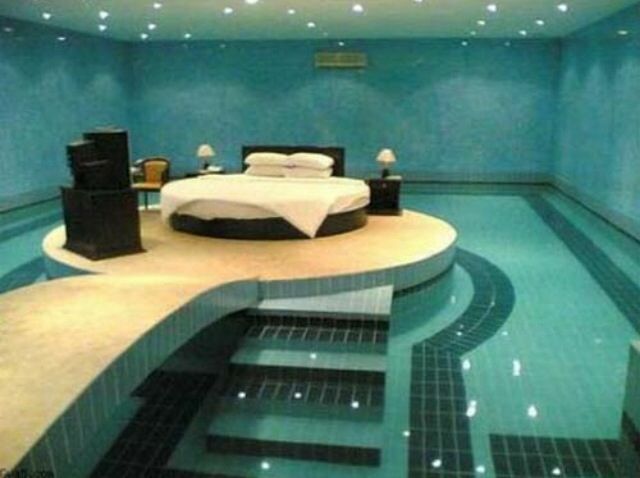 It would have to be a bedroom on the top floor. 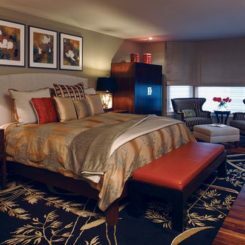 Sure, the architecture and the layout of the bedroom are important but sometimes it’s all about the bed. 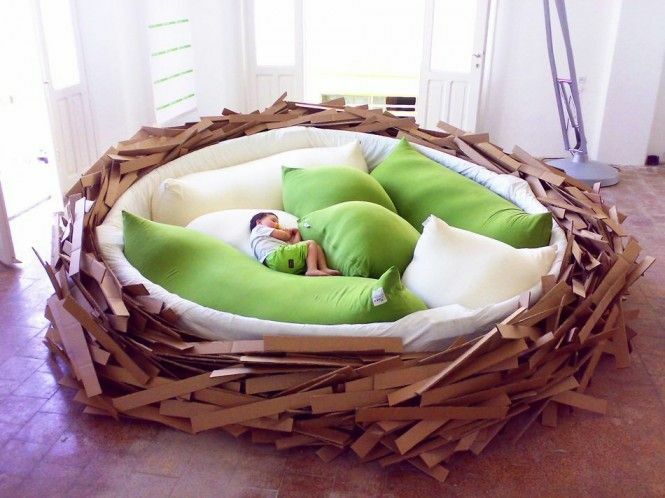 Designed by Oge Architects, this nest bed is incredibly cozy and comfortable, not to mention very cool and unique. A hammock bed would sure great to have in a dream bedroom. 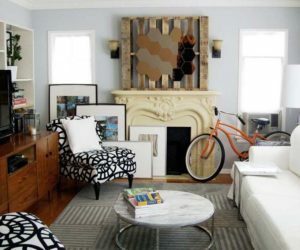 This one has a super casual and cool look. 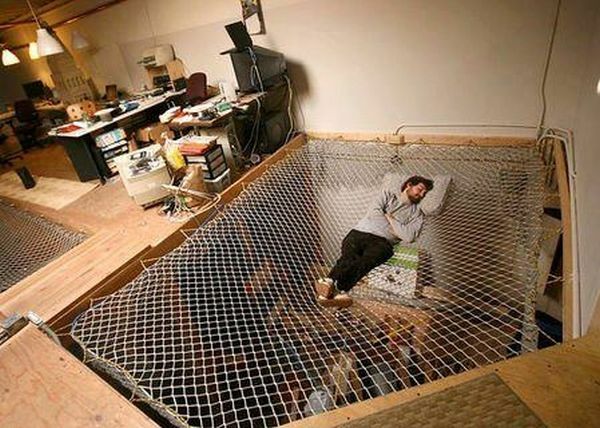 The hammock floor/bed is definitely the most interesting and eye-catching feature. 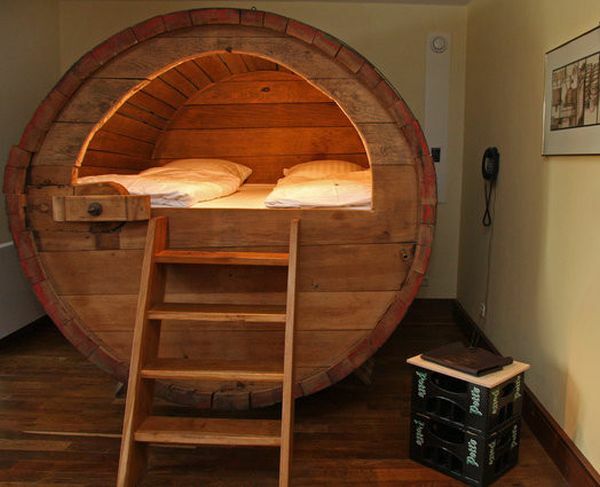 How would you like to sleep in a beer barrel? Imagine it with a comfy mattress inside and warm lighting. 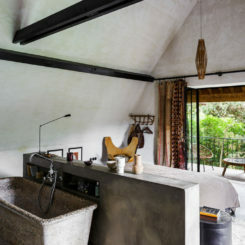 It’s the kind of bedroom the Landhotel Hof Beveland offers for its guests that seek a unique experience while visiting Germany. 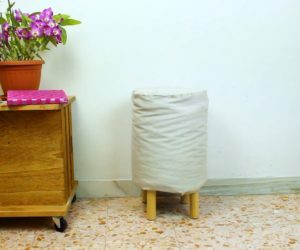 Beds come in all shapes and sizes. 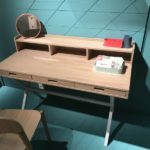 This one has a futuristic design with a bunch of built-in features, like a desk, lighting and storage. 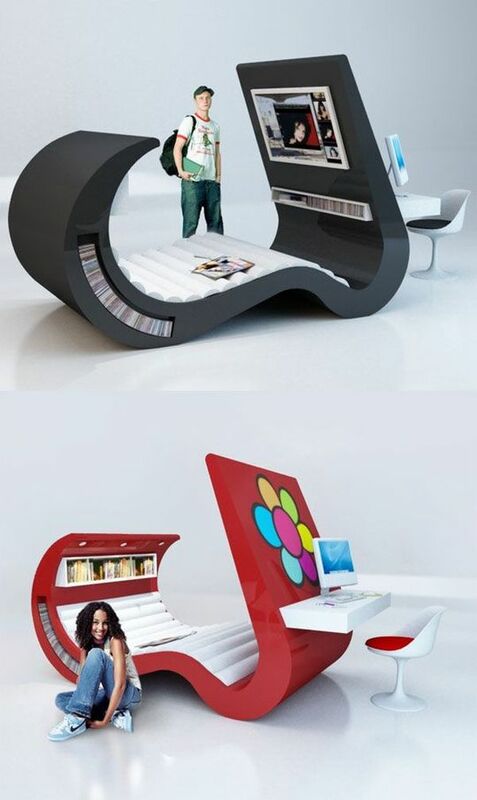 The actual shape of the bed is definitely unusual. 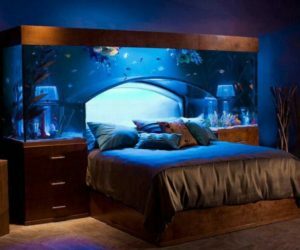 As you know, fish tanks have a relaxing and calming effect on people so having one in the bedroom seems like a no-brainer. 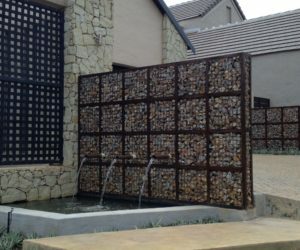 Even so, we didn’t expect such an impressive design. 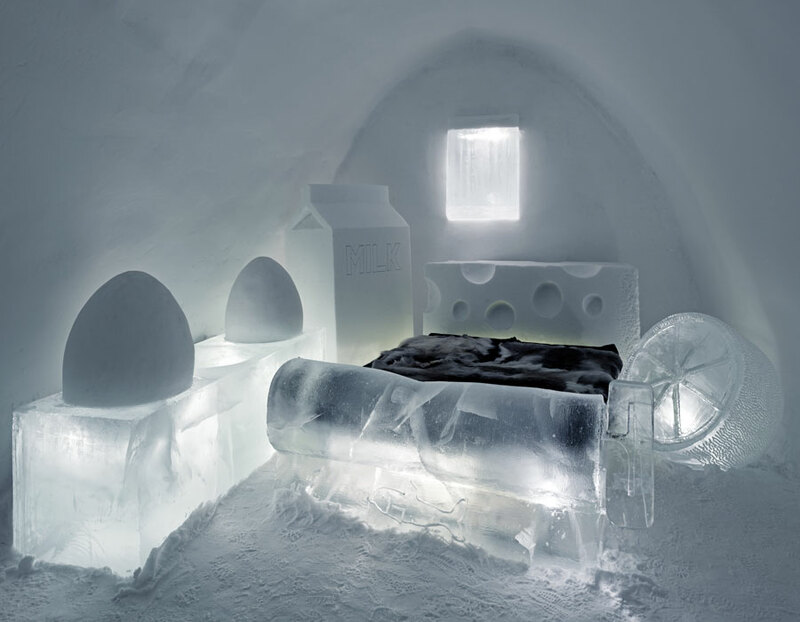 Sleeping in a bed made of ice in a room made of ice may either seem very cool in a good way or very uncomfortable. Only one find to find out which one is true: you’ll have to try it once. When you say camping this is definitely not the image yo have in mind. 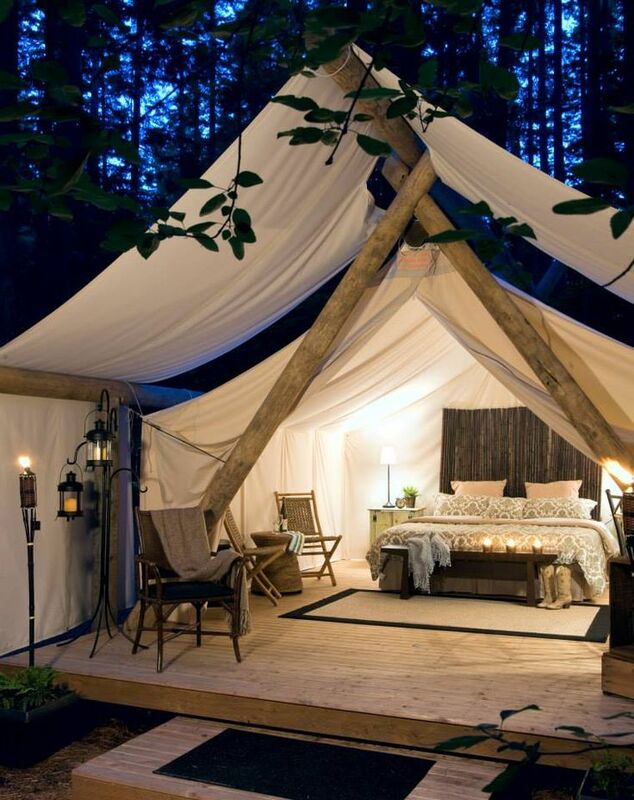 Well, this is actually glamping and it’s the more glamorous version of the typical tent and sleeping bag. 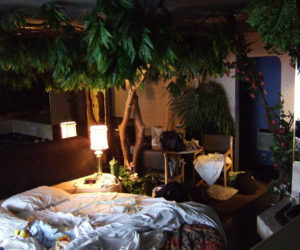 You basically take the whole bedroom with you in the woods. 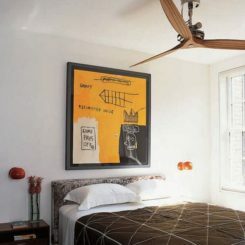 There are lots of things that can make a bedroom look interesting. 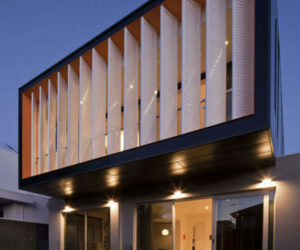 For example, having a pool in there seems like an awesome idea. 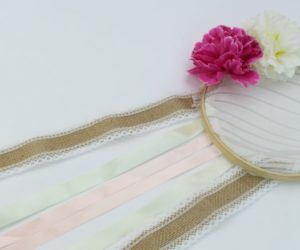 You wake up in the morning and jump in the pool for a fresh start. 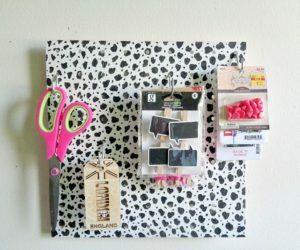 This is pretty much the same idea but with a different layout the design. 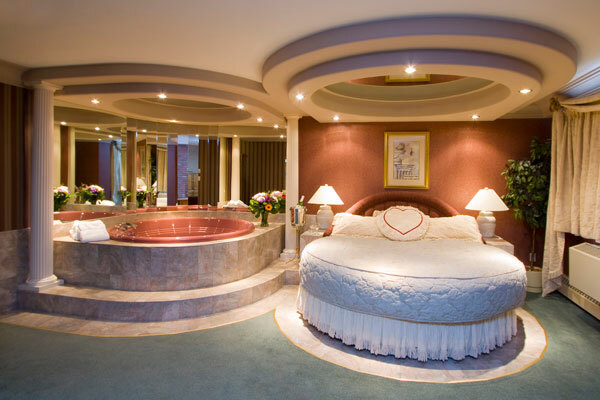 A round bed sits on an island at the center of the pool. 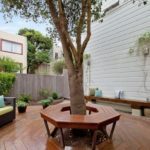 Seems pretty cool but watch your step and try not to let anything fall off the edge. 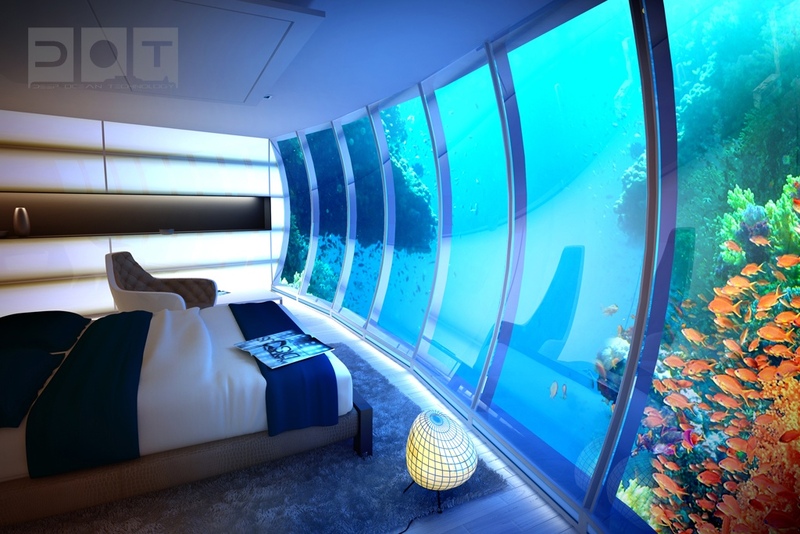 You’re probably familiar with the underwater hotel but have you ever seen one of their bedrooms? 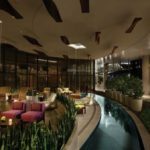 You’re basically surrounded by glass walls and tons of water and you can look out the window and see fish, corals and all sorts of awesome things. 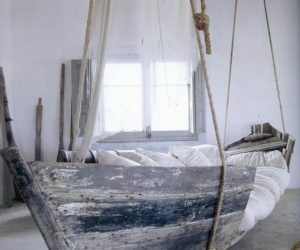 Wouldn’t you say that sitting in a rocking boat is wonderful? It’s so relaxing you could fall sleep there. 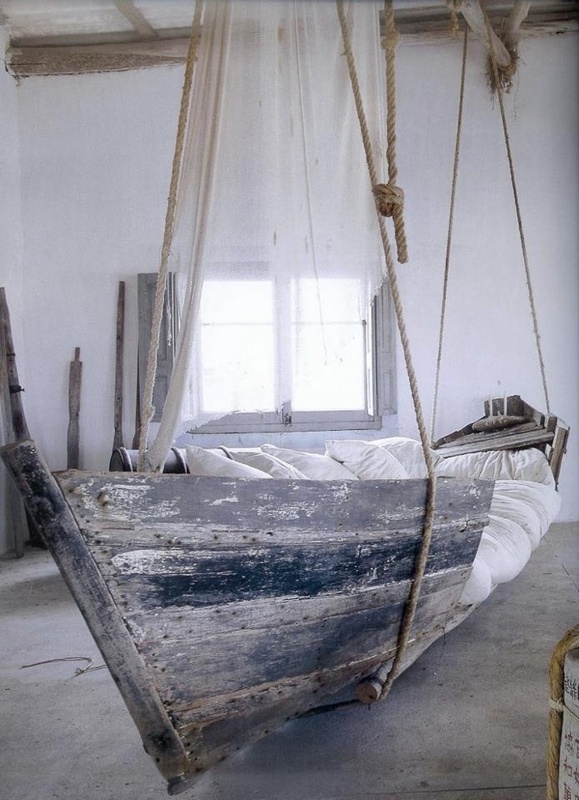 Well, you actually can if you have a hanging boat bed like this one. 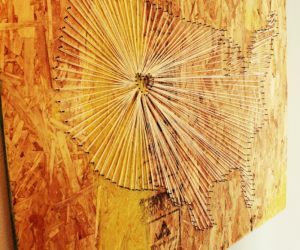 The perfect accent piece for a beach or nautical-themed bedroom. 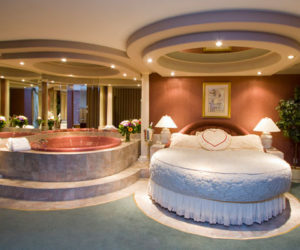 A luxury bedroom suite with a beautiful round bed, a large hot tub and an overall romantic and intimate décor. 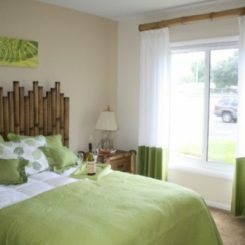 It’s one of the romance Suites of the Woodlands Inn. 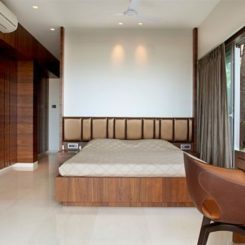 In the case of this bedroom, the circle bed is the focal point. 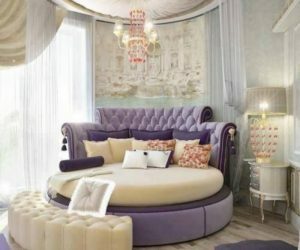 It’s a round bed with an elegant headboard and a stunning canopy. 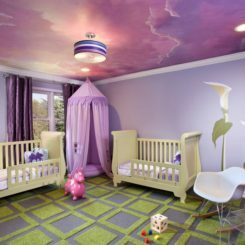 The hanging chandelier and matching nightstand lamp the beautiful lavender color are the perfect details. 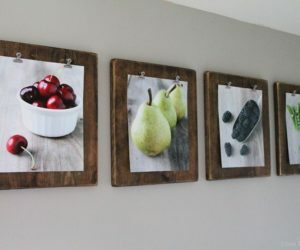 Of course, sometimes we just want something simple, rustic and with authentic charm. 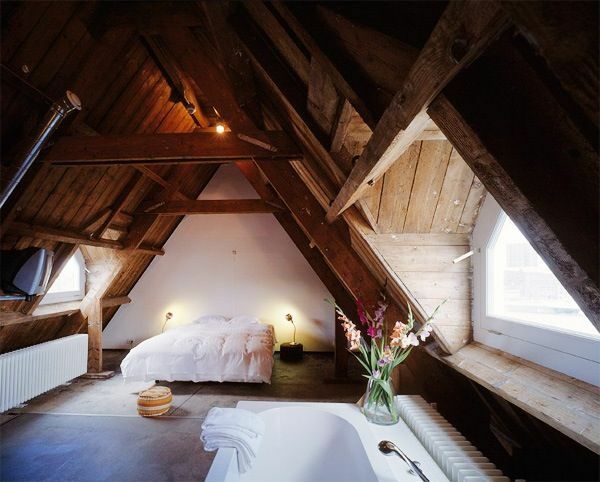 Give up luxury and enjoy a bedroom with a pitched wooden roof, exposed beams and an austere but charming look. 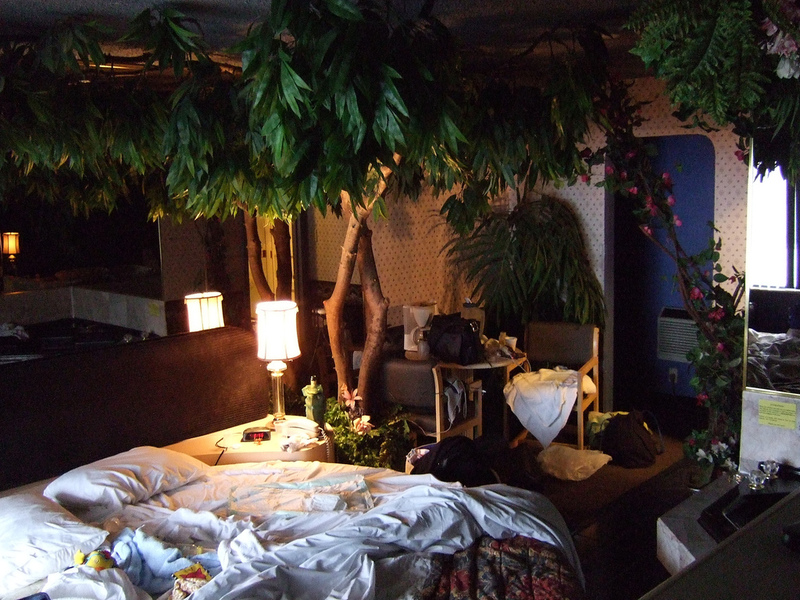 It’s well-known that plants are a welcomed addition to the bedroom but what about having an actual tree in there? 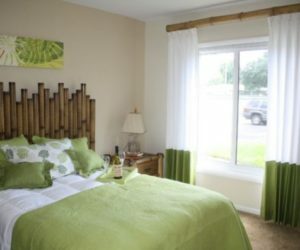 It would be like sleeping in the middle of nature but with all the comfort your home has to offer. Glass ceiling are cool because they let you see the stars at night but but about glass floors? 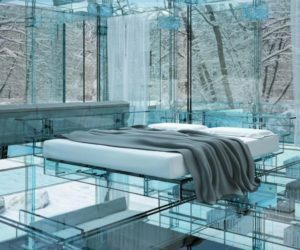 In fact, how does sleeping in a glass bedroom seem like where the walls, the floor, the bed frame and the nightstands are all made of glass? 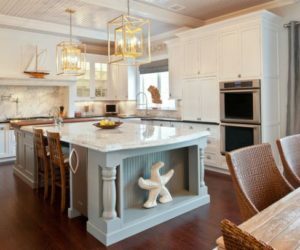 You can give up the glass floor if you have stunning views from the top floor through floor-to-ceiling glass walls. 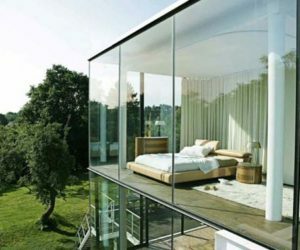 A corner bedroom with glass walls that wrap around and capture all the amazing beauty. 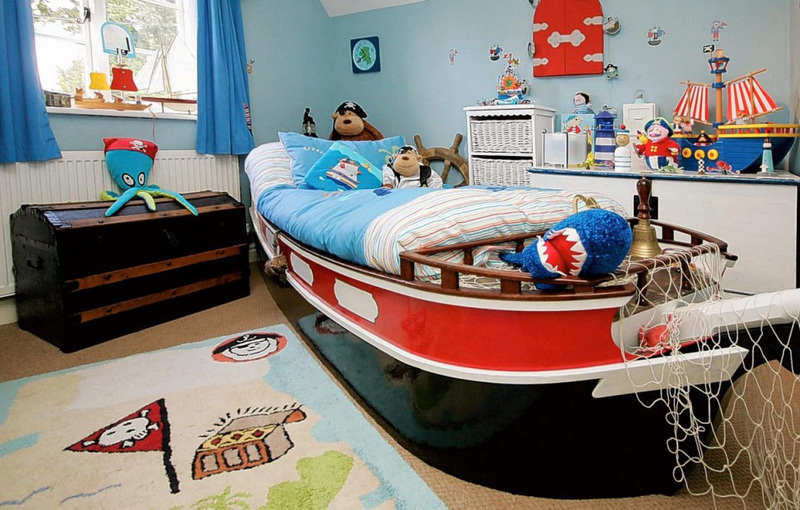 As far as kids’ bedrooms are concerned, a fun and cool idea can be to have a pirate-themed room décor with a boat bed, a wooden chest for storage and the right color palette and accessories. 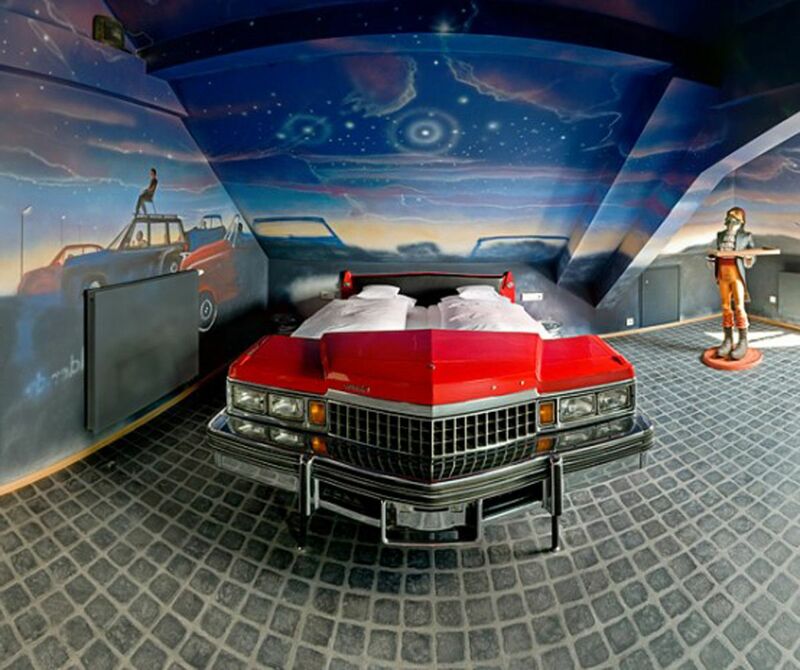 Car beds are also very cool but the ones you usually see in kids’ bedrooms have a rather cartoonish look. Well, this one looks just like the real thing and the whole experience is a lot more realistic and fun. 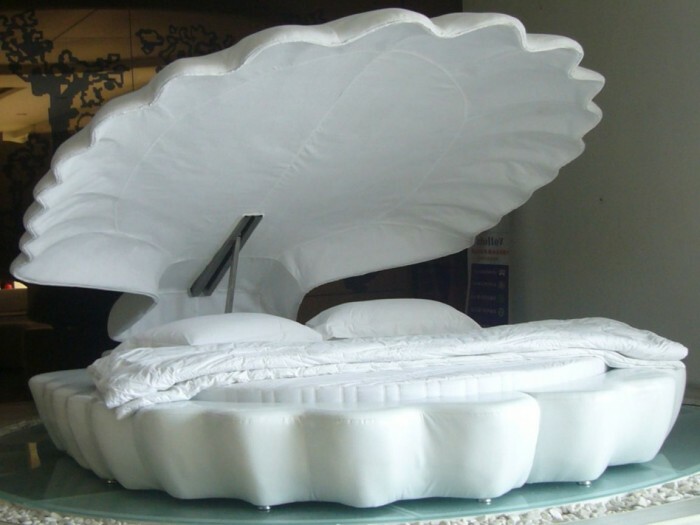 This bed has a seashell frame and it looks gorgeous. 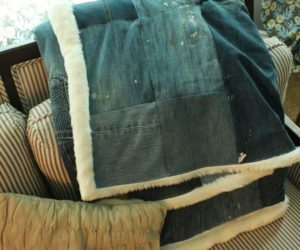 Be the pearl that hides inside and cuddle up for a cozy and dreamy experience. Don’t worry, it won’t gulp you. 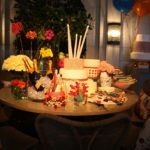 None of the risks and all the luxury.